LG Neo Chef has a storage capacity of 42L. 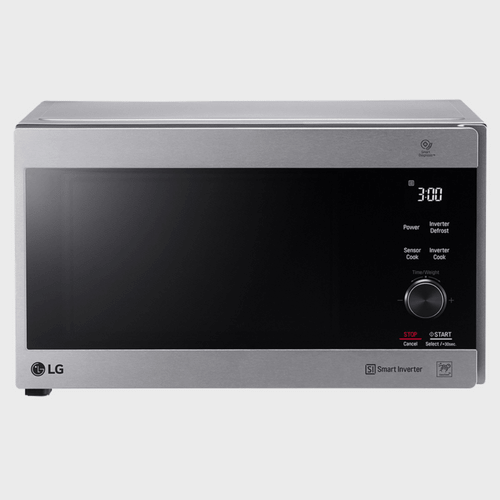 This LG convection microwave gives a maximum power output of 1350W when used for heating food items.The LG MH8265CIS 42L Neo Chef Inverter Microwave makes your cooking simpler. It features a sleek design that integrates nicely into the decor of a modern kitchen. FEATURES: 42L Grill, 1200W, Smart Inverter, LED White lamp, Hexagonal turntable support, Glass touch panel control, Stainless Steel color, Even Heating, Fast Cooking, Tasty Grilling, 360Turntable Size (mm), Functions:Clock, Time Setting, Child Lock, Quick Start, More/Less, Tastesaver, Cooking/Defrost Functions:Reheat 8, Soften 3, Melt 3, Proof & Warm 2, Inverter Defrost 4, Sensor Cook 8. LG Neo Chef has a storage capacity of 42L. 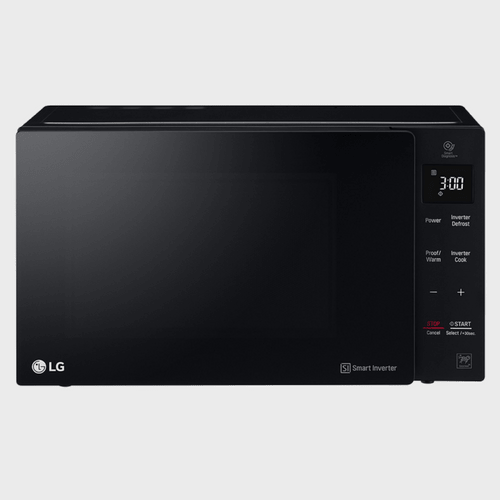 This LG convection microwave gives a maximum power output of 1350W when used for heating food items.The LG MH8265CIS 42L Neo Chef Inverter Microwave makes your cooking simpler. It features a sleek design that integrates nicely into the decor of a modern kitchen. It has a six point turntable that prevents off center items from spilling and tipping during cooking. 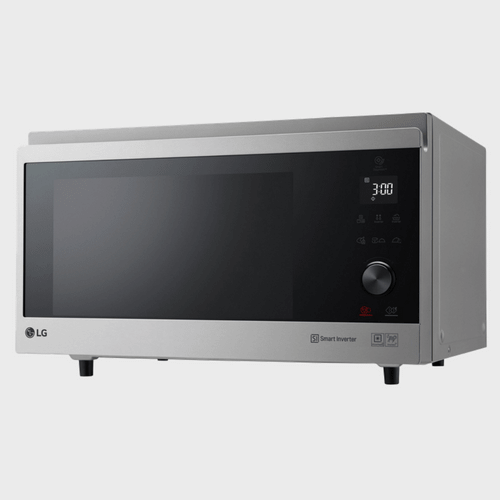 This convection microwave is powered by LG’s Smart Inverter technology that offers an uninterrupted linear supply of power to cook, reheat or defrost food evenly. With the precise temperature control of this microwave, you can cook a variety of dishes that microwaves were previously never able to prepare. This compact microwave has a LED lamp that is energy efficient and is three times brighter than the one in conventional microwaves. Furthermore, the LG 42L Neo Chef Inverter comes with a grill plate that lets you cook crispy grilled food without the hassle of dealing with a hot stove.